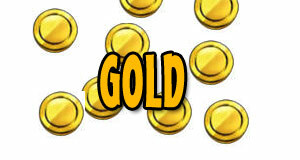 Gold is collected by a gold mine, when you collect it, it is stored in a gold storage. The amount of gold can be seen in the upper right corner. You can also collect gold by attacking other villages (raiding). Until town hall level 8 gold and elixir are almost equally needed, after th8 gold is more valuable resource.